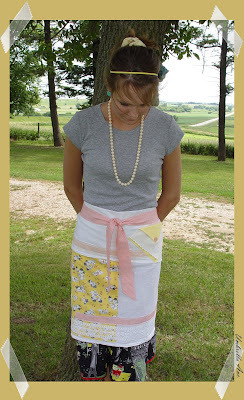 After viewing Dottieangel’s apron/wraps about a dozen times, I decided to make one of my own. I’d love to buy one of hers someday, but at the moment I’m on too tight of a budget. 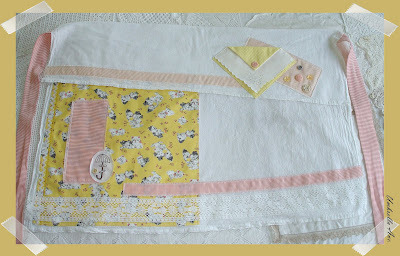 I started with a store bought tea towel ( I just love those things) and some cute repro fabric with puppies and kittens all over it. 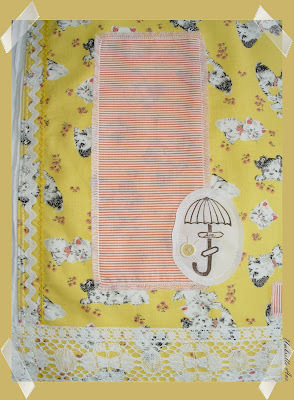 The striped fabrics are also new and hand frayed. I added two pockets; one on each side. 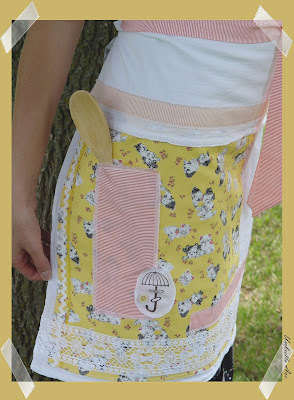 The long striped pocket is perfect for holding a wooden spoon or scissors if you use it as a crafting apron, and the upper pocket is made using some new swiss dot fabric and a vintage hanky. 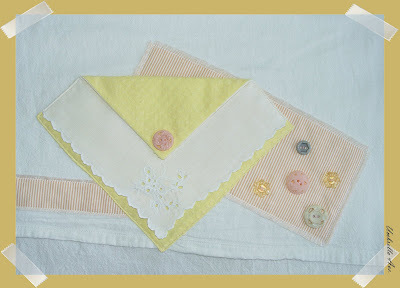 I have quite the collection of vintage handkerchiefs and this was the perfect project to use one. 🙂 I also added some new vintage-looking lace and vintage ric-rac. The buttons are mostly vintage, as well. 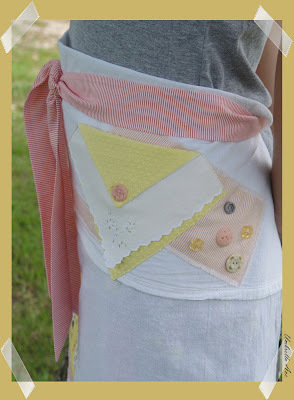 I like the way this apron turned and out and I’ll probably be making some more in the future. Drop me a comment if you like it!